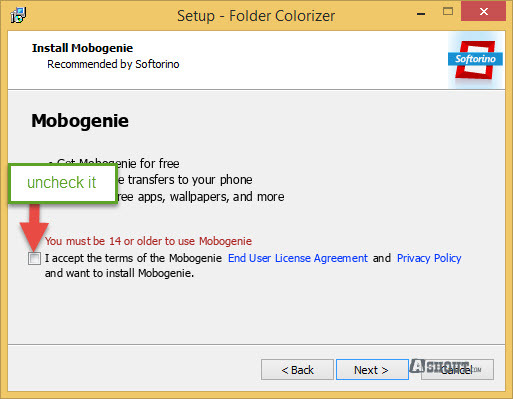 One of the best and free software to add color to your folder. As this is a free software, it tries to install other software during installation. Make sure uncheck them during installation. 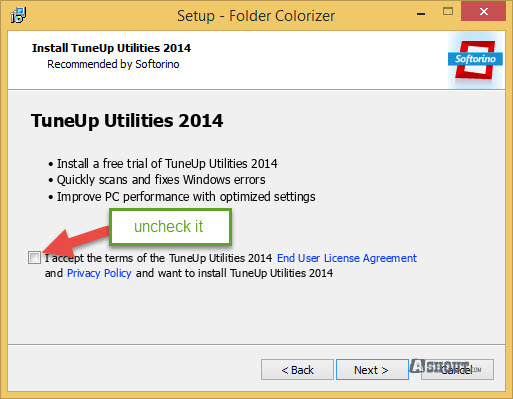 Here is the screenshot where you need to uncheck to prevent other software installation. Please note, I’m using Version. 1.3.2. In upcoming version developer might add even more software to it. So carefully watch instructions during installation. 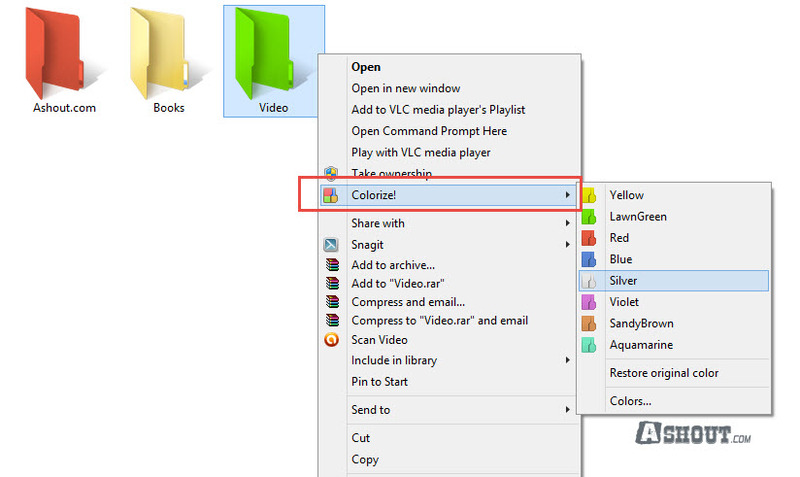 Once you complete installation, go to any folder and right click and select Colorize! and then choose the color that you want to add to your folder. The added color stays even after removing the software. 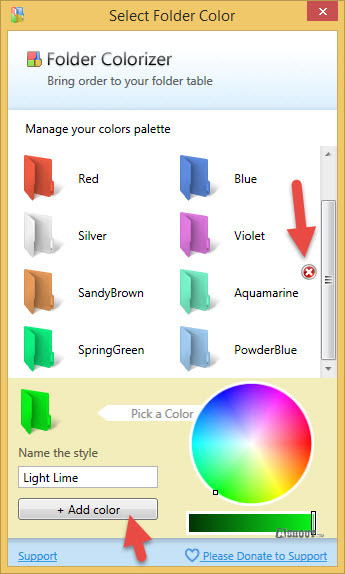 If you wish to restore or remove folder color to an original color, then choose Restore original color option. When you add color to folder you may find some delay in showing that color on folder. Sometimes you need to refresh that window to see changes. This is the only software which is free and supports all windows O.S. There are few paid software are available to add color to folder, but I’m not listing those here. I guess this free solution is enough for adding color to your folders.